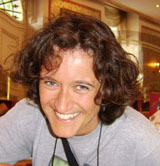 2005-present: Assistant Professor, Department of Experimental and Clinical Medicine, Università Politecnica delle Marche, School of Medicine, Ancona, Italy. 1997-2003: School of Medicine, University of Ancona, Ancona, Italy. 2003: M.D. Degree; Università Politecnica delle Marche, School of Medicine, Ancona, Italy. 2003-2004: Resident: Department of Neuroscience, Section of Physiology, Università Politecnica delle Marche, School of Medicine, Ancona, Italy. 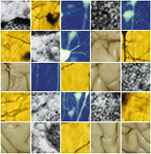 September 2009-March 2010: Post-doctoral fellow; Neurobiology Sector, SISSA, Trieste. Fattorini G, Ciriachi C, Conti F (2017) Few, Activity-Dependent, and Ubiquitous VGLUT1/VGAT Terminals in Rat and Mouse Brain. Frontiers in Cellular Neuroscience 11:229. doi: 10.3389/fncel.2017.00229. Fattorini G, Antonucci F, Menna E, Matteoli M, Conti F (2015) Co‐expression of VGLUT1 and VGAT sustains glutamate and GABA co‐release and is regulated by activity in cortical neurons. Journal of Cell Science 128:1669-1673 doi:10.1242/jcs.164210. Cristóvão-Ferreira S, Navarro G, Brugarolas M, Pérez-Capote K, Vaz SH, Fattorini G, Conti F, Lluis C, Ribeiro JA, McCormick PJ, Casadó V, Franco R, Sebastião AM (2013) A1R-A2AR heteromers coupled to Gs and Gi/0 proteins modulate GABA transport into astrocytes. Purinergic Signalling 9:433-449. doi:10.1007/s11302-013-9364-5. Caiati MD, Safiulina VF, Fattorini G, Sivakumaran S, Legname G, Cherubini E (2013) PrPC controls via protein kinase A the direction of synaptic plasticity in the immature hippocampus. Journal of Neuroscience 33:2973–2983. Fattorini G, Bragina L, Candiracci C, Melone M, Cozzi A, Pellegrini-Giampietro DE, Conti F (2009) Acute phencyclidine administration reduces extracellular glutamate levels and the expression of synaptophysin and SNAP-25 in rat frontal cortex. Schizophrenia Research 108:288-289. Fattorini G, Melone M, Bragina L, Candiracci C, Cozzi A, Pellegrini-Giampietro DE, Torres-Ramos M, Pérez-Samartín A, Matute C, Conti F (2008) GLT-1 expression and Glu uptake in rat cerebral cortex are increased by phencyclidine. Glia 56: 1320-1327. Bragina L, Melone M, Fattorini G, Conti F (2007) Clozapine up-regulates the expression of the vesicular GABA transporter (VGAT) in rat frontal cortex. Molecular Psychiatry 12: 612-613. Bragina L, Melone M, Fattorini G, Torres-Ramos M, Vallejo-Illarramendi A, Matute C, Conti F (2006) GLT-1 down-regulation induced by clozapine in rat frontal cortex is associated with synaptophysin up-regulation. Journal of Neurochemistry 99:134-141. Safiulina VF, Fattorini G, Conti F, Cherubini E (2006) GABAergic signaling at mossy fiber synapses in neonatal rat hippocampus. Journal of Neuroscience 26:597-608. Melone M, Barbaresi P, Fattorini G, Conti F (2005) Neuronal localization of the GABA transporter GAT-3 in human cerebral cortex: a procedural artifact? Journal of Chemical Neuroanatomy 30:45-54. Conti F, Candiracci C, Fattorini G (2005) Heterogeneity of axon terminals expressing VGLUT1 in the cerebral neocortex. Archives Italienne de Biologie 143:127-132.